Batman v Superman: Dawn of Justice Review | Its better than you have been told folks! Its better than you have been told folks! Having NOW TV to help me get through boring, dark and cold January days and nights it has made me realize that just how many big films marked down by the critics big time turn out to be not that bad, Batman V Superman an example of. It was the same for Suicide Squad, Independence Day 2 and Passengers, film I was put off by those critics and didn’t watch because of. But on NOW TV you can watch the first half hour of those films and bail out if they are bad. They are not. There seems to be a snobbery developing in the broadsheet critic industry towards the growing number of big budget action movies out there. The number of those films is growing because of online pirating, not because of lack of ideas. Studios are losing billions and so have to make films that make a profit and appeal to a wider audience, if just to help subsidize the films the critics prefer, the mid to low budget indies. That’s the only way The Black Panther movie would get made. Problem is comic book movie have fan boy followings and those guys and girls have read the original stories and want the films to reflect that and how they, as fans, interpret the comic book, and so the film. Batman V Superman is obviously a very important comic book storyline to them, and so film. Fan boys were definitely on IMDB.com rating this down even before it hit the multiplexes. But with its ensemble cast and huge $300m dollar budget and disastrous IMDB rating it still did $875m back, regardless, even with Zack Snyder directing it, a lucky escape for DC comics and Warner Brothers. Eighteen months after the battle between Superman and General Zod in Metropolis, Superman has become loved and fared on Earth in equal measure. Billionaire Bruce Wayne’s alter ego was the crime fighter in residence but not any more. 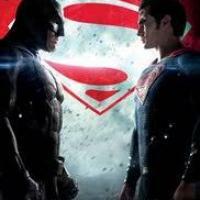 Batman sees Superman as an existential threat to humanity and his brooding is growing. After learning of Batman's form of growing cruel justice, Superman’s, Clark Kent seeks to expose him via Daily Planet articles. Violent Russian weapons trafficker Anatoli Knyazev (Callan Mulvey) has been wooing Lex Corporation mogul Lex Luthor (Jessie Eisenberg) to buy new weapons technology to battle Superman. Luthor also unsuccessfully tries to persuade Senator June Finch to allow him to import kryptonite (the only thing that can kill Superman) retrieved from the Indian Ocean following Zod's antics those 18 months ago, Lex claiming that he wants to maintain the green glowing rock as a "deterrent" against future Kryptonian threats. He instead makes alternative plans and gains access to Zod's body and through the crashed Kryptonian scout ship from that battle. Bruce attends a gala at LexCorp to try and steal encrypted data from the company's computer to see what’s going on. While searching the drive he discovers from the mainframe that Luthor is also investigating metahumans. One of them is a beautiful lady called Prince who Bruce met at the party, who is somehow in a photo taken during World War I showing the same age. Wayne admits to his butler Alfred Pennyworth (Jeremy Irons) that he plans to steal the kryptonite to weaponize it, should it become necessary to fight Superman. Lex feeds Batman’s shouldering anger towards Superman to set up the fight of the century. At a congressional hearing, as Finch questions Superman on the validity of his actions as the world’s policeman, a bomb goes off and the indestructible Superman in the frame for the carnage. Whoever set the bomb knew that would happen. Believing he should have detected the bomb, and frustrated by his failure to save them, Superman goes into self-imposed exile to let the anger calm down. Batman can hold back no longer and prepares himself for the coming battle with Batman for the future of the Earth with an array of kryptonite weapons. But Batman is picking the wrong fight as a far bigger enemy is about to lay waste to Gotham city. I enjoyed it and a solid action superhero movie. I think kids would love this movie. To me comic book stuff is kapow and capes and as long it’s not too camp I get into it. I never take the comic book religion seriously and if the moralizing side of the comics is not in the movie scripts and dialogue I’m none the wiser and don’t know about that stuff to miss it so crack on with the movie. It sad Christian Bale is no longer Batman a she started the macho comic book movie resurgence and I’m not a huge fan of Ben Affleck in whatever he does although fist pumping superheroes is where his acting level is. Henry Cavill as Superman is in keeping with DCs approach to their movies of few laughs and a lot of granite chin acting. The rest of that ensemble cast are only here for the money and the big film title occasion and I’m not sure what Eiensenberg was thinking taking on the Lex Luthor role. I went into the film fearing the worse but came out thinking it was OK, certainly a hell of a lot better than all the previous Superman films. It’s way too long at 150 minutes and two hours or less would have done the job, bearing in mind the story is pretty simple. I suppose they wanted to feel like they were getting value for the absurd $300 million dollar budget. As the studios have digital special effects costs falling all the time I guess most of the 300 million was the cast. It’s not worth $300 million dollars but it just about gets away with it. The action is all very fine and great to see Wonder Woman arrive, the gorgeous Gail Gadot. Wonder Woman is a far better film folks. The New Republic – ‘A movie that beats you into submission and makes you wonder if the sun will ever come out again’. Sight & Sound –‘This is a superhero film which opens and closes with funerals and requires the world's finest detective and an avatar of truth and justice to batter each other (and everyone else) senseless for two-and-a-half hours’. The final Cut –‘Zack Snyder is not a subtle director. An understatement, I know. But it's more obvious than ever here’. Movie Talk –‘As the pair pound away at each other, it's the hapless viewer who's left begging for mercy, beaten into submission by Snyder's overbearing direction and Hans Zimmer's bombastic score’.